Two papers accepted to Siggraph 2019! Five orals and one poster accepted to CVPR 2019! Face2Face featured as a research highlight in Communications of the ACM on the front cover in January 2019! Two papers accepted to ICLR 2019 on learning geometric features! Prof. Matthias Nießner was awarded the ERC 2018 Starting Grant for Scan2CAD, receiving 1.5 million Euro in Funding! Prof. Matthias Nießner received the Nvidia Professor Partnership Award! Leonidas Guibas and Angel Chang were awarded with IAS Hans Fischer Fellowships! They are joining us as Vist. Professors! Prof. Matthias Nießner was awarded the Google Faculty Award for Machine Perception! Announcing the Robust Vision Challenge 2018 at CVPR - Watch out for the chicken! Research Highlights: ScanNet is an RGB-D video dataset containing 2.5 million views in more than 1500 scans, annotated with 3D camera poses, surface reconstructions, and instance-level semantic segmentations. This data is specifically designed to support deep learning tasks for scene understanding in 3D - it is one of the largest annotated RGB-D dataset that is publically available. Research Highlights: Face2Face is a real-time face tracker whose analysis-by-synthesis approach preceisely fits a 3D face model to a captured RGB video. This produces high accuracy tracking, allowing for photo-realistic re-rendering and modifications of a target video: in a nutshell, one can change the expressions of a target video in real time. This project has received incredible attention with several million youtube views and wide range of media coverage. We even gave live demos on several occasions on public television! 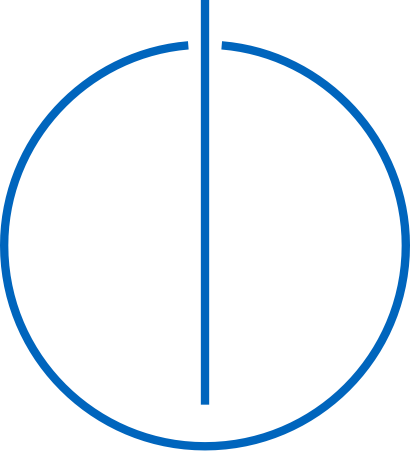 The Visual Computing Lab at TUM is a group of research enthusiasts pushing the state of the art at the intersection of computer vision, computer graphics, and machine learning. Our research mission is to obtain high-quality digital models of the real world, which include detailed geometry, surface texture, and material in both static and dynamic environments. In our research, we heavily exploit the capabilities of RGB-D and range sensing devices that are now widely available. However, we ultimately aim to achieve both 3D and 4D recordings from monocular sensors - essentially, we want to record holograms with a simple webcam or mobile phone. We further employ our reconstructed models for specific use cases, such as video editing, immersive AR/VR, semantic scene understanding, and many others. Aside from traditional convex and non-convex optimization techniques, we see great potential in modern artificial intelligence, mainly deep learning, in order to achieve these goals. Our lab is located at the research campus in Garching. 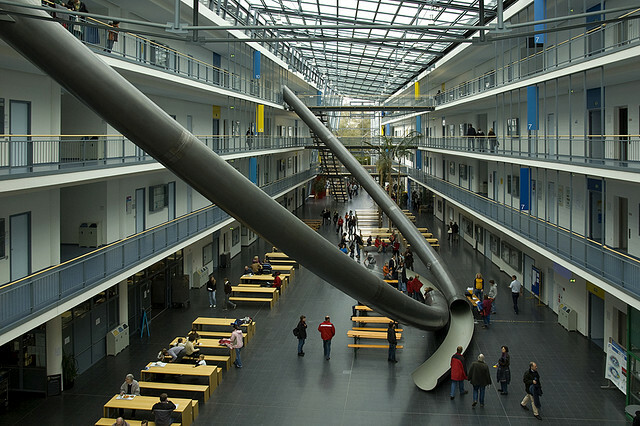 Inside the Faculty of Computer Science, the slide enables both students and visitors to make the journey down from the fourth floor a little quicker than might be expected.